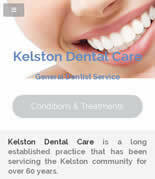 Although Kelston Dental Care have been servicing their local West Auckland community for over 60 years, we are proud to have created their very first website - www.kelstondentalcare.nz. 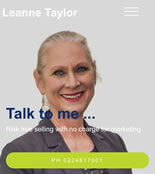 This is a responsive/mobile friendly website which conforms to Google's mobile friendly standards. Kelston Dental Care is a a caring, friendly practice that offers all aspects of general, quality dentistry at realistic prices. CURRENT SPECIAL - We will optimise the Title, Description and Keyword Tags on your home page and include a Robots tag and robots.txt file (if you don't already have one) for just $15 + GST. What is the Title Tag & Meta Tags? The contents of the Title Tag are generally shown as the title in search results (and of course in the user's browser). 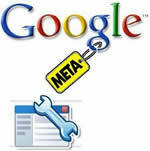 Meta tags are HTML codes, also inserted into the head section on a webpage after the title tag. The meta description and keywords tag are not seen by users - the main purpose of these tags is to provide meta document data to user agents (eg. search engines). Meta Tags are not a magic solution to achieving a high search engine ranking, but they do control, to some degree, how webpages are described and ranked by some search engines. We recommend that you snap up this month's special offer if your website has been online for one year or more. Local search optimisation can be a decisive factor in how a site ranks locally and, consequently, in how much traffic and clients it drives from local, on-the-go searches. Fortunately, major local search tactics are not that hard to master. Follow the six steps below to achieve the best results in terms of SERPs, traffic, and conversions on the local market. Go through the verification process. Google will send you an actual postcard, with a private PIN inside (provided you register at the GMB (Google My Business) website and you own a business’s physical address). P.O. boxes are not allowed. Using a URL redirect instead of a site’s actual URL. Stuffing a company’s name field with keywords. Registering multiple GMB listings for one company. According to a research, link signals play a key role in how sites rank in local search. However, many website owners pay zero attention to online directories and listings, which are a safe source of relevant, high-quality links. 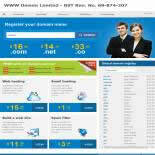 Find top business directories to get your company listed. Google, Bing, Yahoo!, Yelp, Neighbourly and Yellow Pages are recommended. 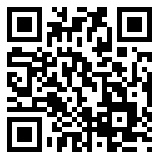 Research local business directories. Check out local media and government websites, or simply do a Google search. Fill out and optimise your directory accounts. Be descriptive, write for humans, and do not forget about keywords. Confirm that all business details are consistent across every directory. Titles and meta descriptions are still hugely important in local search (see our latest special offer above). Customisable HTML elements act as ads that define how a page’s content is reflected in search results, and they have to be relevant enough to get clicked. Research the local keywords you want to rank for; analyse your competition. Place local keywords at the beginning of the tag. Keep your titles relevant to corresponding pages; never duplicate your titles. Use keywords for humans that are repeated in the text on the page. According to surveys on the subject, up to 97% of consumers read online reviews for local businesses, with 85% trusting them as much as personal recommendations. Since reviews can become your ultimate weapon for building trust and a positive reputation among your targeted audience, it makes sense to ask for them and research shows that over 60% of those asked will provide a review. Manage other reviews, e.g.Facebook, Trade Me etc. for marketing. These are trusted review platforms among consumers. Bonus tip! Consider cooperating with other local businesses to build powerful content. Reach out to your partners to research ideas and create content with maximum appeal to a wide audience. This will help you compete with your competition. SEO changes all the time, and local search is not much different. However, the ideas above will provide a solid base for your local SEO strategy. Implement these tactics, and you will outperform your competition in local search results. Our latest special will ensure that your metatags are fully optimised!